Today a short post just to greet you and wish you a great start of the week. Train your mind to always see the good in everything, no matter how hard or how it takes, and surround yourself by positive souls that always lift you up and inspire you: happiness won't ever come from outside circumstances but how you decide to deal with them, from yourself. Hope you all have a fab week ahead; it is also the last one of winter, yay! Buon inizio settimana anche a te Lilli!!!!! 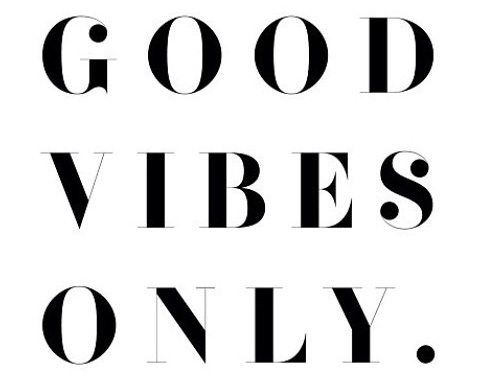 Good vibes, ecco. Da tenerlo sempre a mente!!! This is wonderful, Lilli! I hope you do the same. Try to think possitive but i can't with this bad weather!! Hope your week is happy and sunny dear! Grazie Lilli! Le vibrazioni positive, soprattutto oggi con questo tempaccio, sono davvero molto gradite! What a wonderful and encouraging post! It is always so hard to get going on Mondays and this is just the pep talk I needed! I hope your week is fabulous and you are right it is the last week of winter! Yay! Hugs, this came at the right time. My morning was pretty rough, nothing I wanted to do went right and I was just downright miserable and frustrated. Reading this post gave me a smile, Lilli, thank you so much. I'll remember to breath deeply and try to be calm again. a great and so true quote. I try always to be positive. Sure sometimes i have a rainy day, but the next day the sun always shine. Or even winter is over. ;) Wish you a great week too dear Friend Lilli. Proprio oggi ci vogliono queste quotes! Vero Lilli, pensare positivo è sempre importante!! Buona settimana cara! Un felice inizio di settimana anche a te, un bacio. Love that message Lilli! I try and surround myself only with positive people. So true Lilli. It's better to see the beauty in others and to be positive rather be negative. Have a wonderful week. Thanks for sharing this positive message. So true that our happiness lies in our own hands. Con questo brutto tempo che mette di cattivo umore ci vuole proprio un po' di positività! Yayyyy! Last week of winter, you just made my day, Lilli! Thank you! Let's see what spring has prepared for us, haha. I agree that it's up to us how we see the world around us. The quote is cute! May your week be full of positive thoughts and feelings! Kisses, Lilli! Ciao Lilli. Arrivo tardi ma ti auguro lo stesso un buon inizio di settimana! Bisogna sempre essere positivi! Buona settimana Lilli! Have a great week too honey. e' davvero così, pensiero positivo porta cose positive. Mi piace tantissimo quella frase. Buona settimana anche a te mia cara Lilli. Per me stasera inizia l'weekend...due giorni tra coccole e relax. Non vedevo l'ora. ...una settimana bella intensa e ricca!!! Hope you're having a great week and I love the outfit with the black and white jacket!